Bayliss on Bairstow: "I think he has come a fair way in the last day or two so we are hopeful he will play a big part [in the Test series]." England's Trevor Bayliss bemoaned his side’s attitude to fielding in their 219-run, DLS loss to Sri Lanka in the fifth and final ODI. 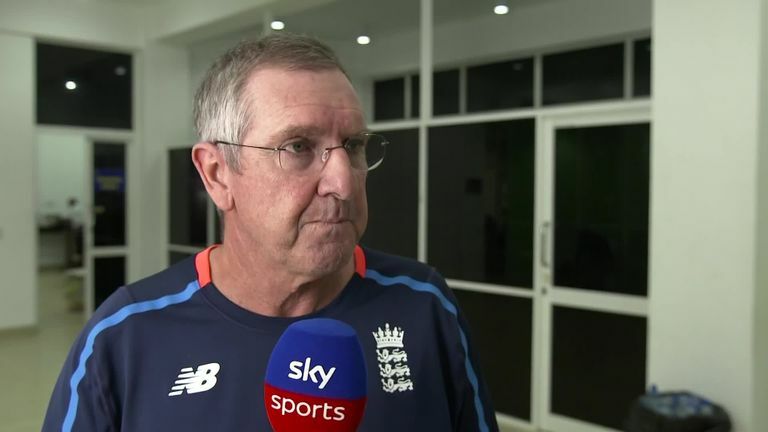 Trevor Bayliss slammed England's "attitude" in the field after they were thumped by Sri Lanka in the final ODI in Colombo - but says he was pleased how his side adapted during their 3-1 series win. Tom Curran dropped Dinesh Chandimal on six before the Sri Lanka skipper went on to score 80 as the hosts' posted 366-6, while a number of fumbles did not go unnoticed by an angry Ben Stokes. Tom Curran also admonished younger brother Sam for a lapse at one stage. England coach Bayliss told Sky Sports he will speak to his players about their slapdash fielding but has been buoyed by how they have dealt with regular rain interruptions to seal a ninth bilateral ODI series victory in a row and strengthen their status as World Cup favourites. "I was very disappointed by our attitude in the field - and fielding is an attitude," said Bayliss after England lost by 219 runs on DLS, their heaviest ODI defeat. "Even if you are not the greatest fielder of all time, if you are going forward and want the ball to come to you, you can save a lot of runs. "Unfortunately, I saw a number of times where it looked like we weren't really on the ball. We were a few steps behind where we should have been. "We will have a chat about it. The best time to speak to them along those lines is when we have won a series. Being able to start with a negative and finish off with a positive is a good way to do it. 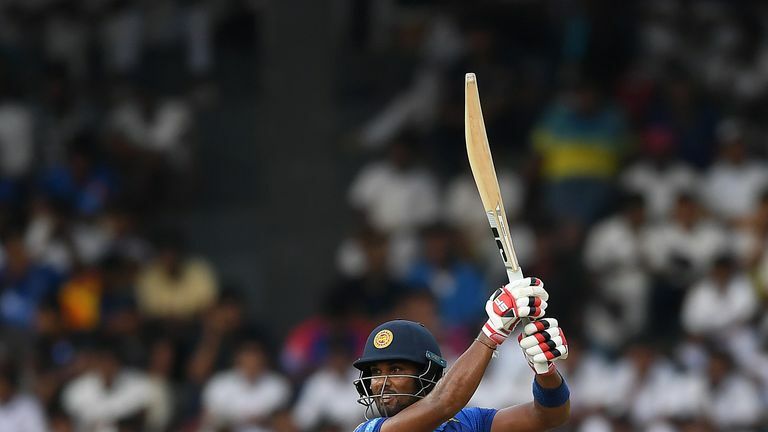 Highlights of the rain-affected fifth and final ODI between Sri Lanka and England at Colombo. "I think the way we adapted to conditions was a step forward. It's obviously foreign conditions and different to what we will play in the World Cup. "There was a lot of rain around but we were able to adapt and showed how we can play in different fashion to make sure we won games." Ben Stokes top-scored with 67 as England limped to 132-9 before torrential rain torpedoed R. Premadasa Stadium, but he hobbled throughout his knock after seemingly suffering from cramp. The Sky Sports cameras followed Stokes in practice on Monday evening as he trained with high intensity - and Bayliss says he will encourage his star all-rounder to ease up at times. 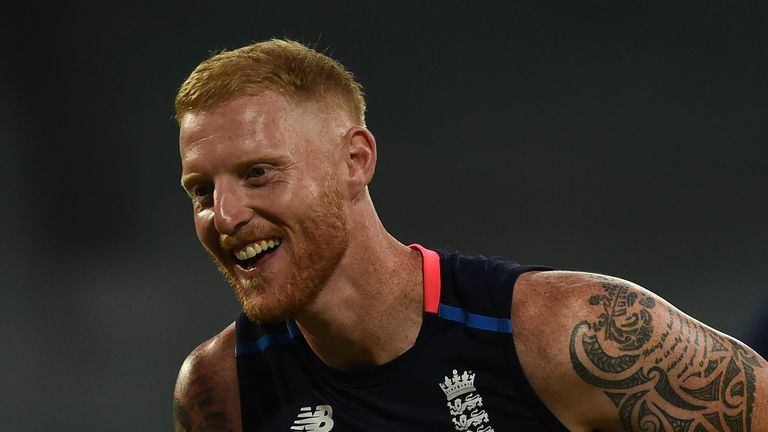 Ian Ward and Nasser Hussain catch up with Ben Stokes in England practice as the all-rounder goes full throttle batting, bowling and fielding. "We have been trying to do that for the last three years!" said Bayliss, who also gave positive news regarding Jonny Bairstow, who is currently out injured with an ankle injury he sustained playing football on the eve of last Saturday's fourth ODI in Kandy. "I think he is slowly starting to believe that he may not be able to go 100 per cent every single time and train a little bit smarter, especially in these types of conditions. We'll have another chat about how much work he does." On Bairstow, who is battling to be fit in time for the first of three Tests against Sri Lanka in Galle on November 6, Bayliss added: "He has the boot off and he's no longer on crutches. "I think he has come a fair way in the last day or two so we are hopeful he will play a big part." Watch the one-off Twenty20 international between Sri Lanka and England live on Sky Sports Cricket from 2pm on Saturday.